Now that I have written about the spiritual and existential crises of living in the UK as a PhD student with a wife and four kids, I am turning my attention to the sort of work I am up to. There is the possibility that what follows might dull you…. My greatest academic insecurities are linguistic. Hebrew and German, particularly. A New Testament scholar has to be proficient in the Old Testament, too, which requires Hebrew. 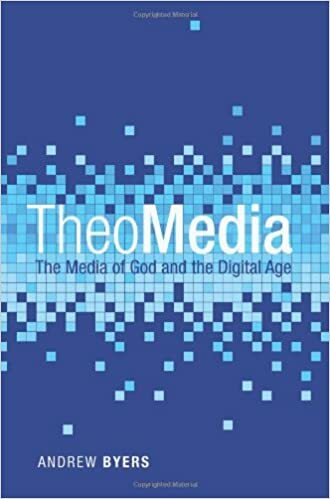 And since the NT writers worked primarily with the Greek version of the Old Testament (the Septuagint), there is much more Greek to learn than what one finds between Matthew and Revelation. On a “normal” day, I try to devote an hour and a half to studying a Hebrew textbook after reading portions of the NT in Greek. As for German…. Well, biblical studies is an international discipline, of course, and the classic understanding of a scholar is that she is multilingual, at least when it comes to reading. Tomes and tomes of theological work has been produced out of Deutschland. And new articles come out everyday by German scholars. So reading competence is essential, not only for keeping abreast of what is going on in one’s field, but for drawing from the vast history of research in biblical studies, much of which has been done in places like Tübingen, Heidelberg, Marburg, and Göttingen. My German has improved since I came to Durham, but the vocabulary is so vast that I can hardly make it through a sentence without having to look up at least a few words. I rarely use a German grammar. Mainly I am just reading and translating, reading and translating, pushing, shoving, plowing through the syntax and vocab. “Primary literature” in NT research refers to the actual texts from the Greco-Roman world that inform the discipline. This includes the enormous body of literature produce out of Early Judaism. 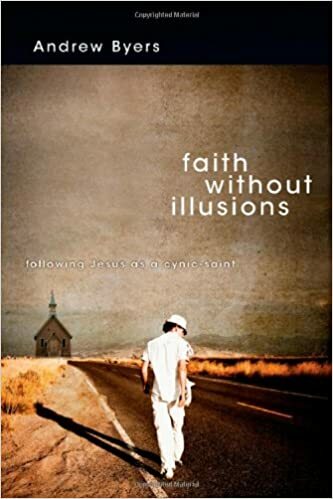 It includes the vast writings of the Jewish historian Josephus and the Jewish philosopher Philo (both rough contemporaries of the Christian church’s initial generation). My focus this year has been on the Apostolic Fathers, the earliest texts written by Christians just after the New Testament documents were penned. Though he is writing a few hundred years later, I am currently reading Eusebius’ Ecclesiastical History—this work is probably our best access to early Christianity, even if Eusebius himself cannot be regarded as the best theologian or the best historian. “Secondary literature” refers to the scholarly writings produced in recent decades/centuries in one’s academic field. I am working in John’s Gospel, and Johannine studies is notorious for its massive corpus of secondary lit. There is just so, so much to read. So much. 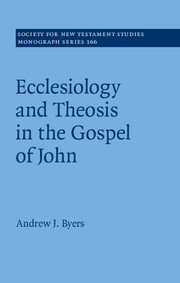 I have concentrated on literary and theological approaches to John, as well as those works which take an interest in Johannine ecclesiology (which is my topic of focus). Then there is the discipline of writing. The British PhD is all about writing a top-notch “thesis.” There are no other metrics—no grades, no language exams, no competency tests. Just the thesis. And it had better be good. At the end of a workday, the doctoral student over here in the UK checks her word count. We need words on those Word documents staring from the screen. At the beginning of each term I know what I have to produce in terms of writing. So I begin the term devoting the 1st half of the day to language work, then the afternoons to reading, reading, reading. But about 1/2 to 2/3 of the way into the term, the demand to have something written enforces a new routine. So I end up spending almost every hour of the day in writing mode, but this might mean that I get a paragraph in. And only a paragraph. Because as I write I normally have to re-read a lot of what I have worked through in the 1st part of the term, as well as read lots more. To write in interaction with other scholars requires such precision. I have had to read chapters or articles by Bultmann and Käsemann over and over. I meet fairly often with my supervisor. Those discussions have been milepost-moments. The rudder gets tweaked, the arguments get tested, new ideas are suggested, oversized aspirations are cut down, undervalued points are elevated. I also attend a weekly seminar where other postgrads meet with the NT faculty around a paper presentation and discussion. I absolutely love what I am doing. But my mind is stretched and yanked and exercised every day. Next, I will be writing on my reading of the Bible—how is it different reading Scripture as a NT PhD student as opposed to a pastor? And how do I read in general—skimming, scanning, long-form, or in disrupted piecemeal? I can’t think of much else one would be eager to read about than my reading habits…. Thanks for sharing all of this. As someone who begins their UK PhD in OT this October (Bangor University in Wales) I am thoroughly interested in the process…and find your discussion helpful. I just read all of this and now I’m writing a post. Why? Because I love you. Because it’s nice to know when someone has read what you have written. Because where your discipline meets your passion has always been a spur in my life. Once more into the fray. . .